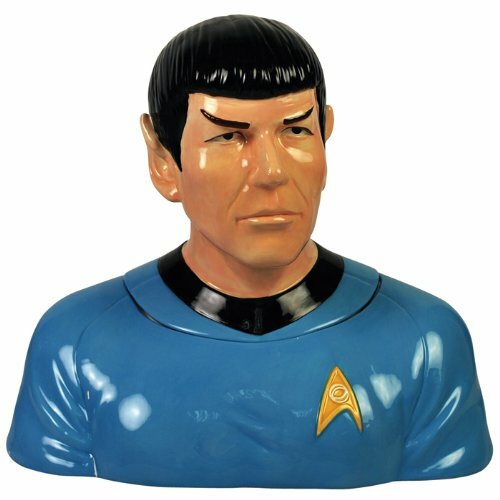 “Live long and Prosper” with this unique cookie jar that is a realistic sculpture of Spock. There’s just something so completely “off the hook” about Spock as a cookie jar that you just have to have it. Wrap it up and give it as your next gift at a White Elephant Party! I am sure there will be fights over this amazing piece of our Sci-Fi history! Westland Giftware Star Trek Spock Cookie Jar, 10-1/4-Inch will please not only the Trekie in your life but will also be a great addition to your kitchen! Really, you can’t be cool if you don’t have a Spock cookie jar.